Yes, you have heard it right. Siri which is officially exlusive for new iPhone 4S, is soon coming to all idevices running iOS 5. These devices include iPhone 4, iPhone 3GS, iPad 2, iPad 1, iPod Touch 4G and iPod Touch 3G. 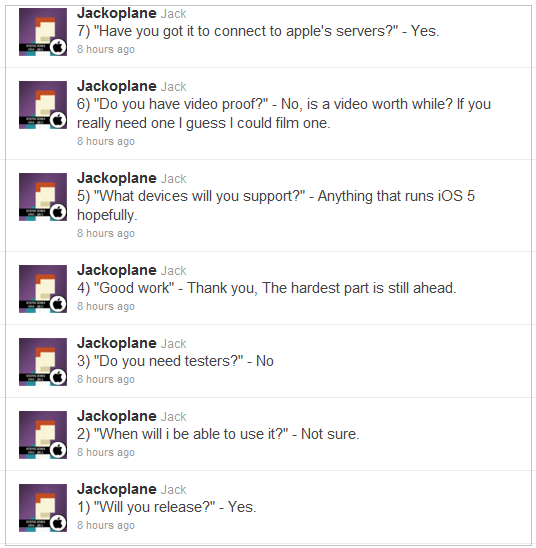 Ths great news was announced by the Obj-c Developer Jackoplane on his Twitter account in a series of tweets. From the tweets, it has been confirmed that the developer has successfully connected siri with Apple servers. No ETA has been announced, but it has been confirmed that siri will be available for all devices running iOS 5 soon. 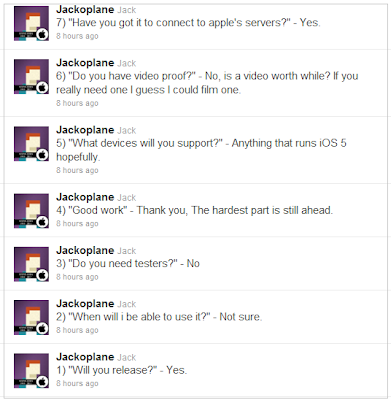 Moreover, the developer will also be posting a video of it soon. Stay tuned. 0 Respones to "Siri Soon Coming to All iDevices Running iOS 5"